Truckers have to be on constant lookout for new rules which may affect them since they drive from one location to another. fresh-off legislative activity across the nation, July is among the primary weeks to get new legislation to take effect. Following are a few noteworthy legislation. Starting the first of the month, CDL applicants are allowed three attempts to pass the CDL examination. The new law requires the three attempts to be taken within six months. Another new law permits truck drivers to provide an electronic copy of their operator’s license upon request by law enforcement. The state already requires vehicles driving slower than the normal speed of traffic to stay in the right lane of multi lane highways. Vehicles are allowed to merge left to overtake and pass slower moving traffic. As of July 1, a new law permits police to ticket travelers lingering in the far left lanes of multi lane highways. The change expands the state’s rule to require travelers to stay to the right except when overtaking or passing another vehicle. Also, drivers would be exempt if they are in the left lane to turn or exit. Violators could face fines between $5 and $50. A new law in West Virginia requires the state’s Division of Highways to study the feasibility of implementing a comprehensive sponsorship program for rest areas, welcome centers and roads. If a program is deemed feasible, the agency would begin implementation. State law already prohibits impeding the “normal and reasonable movement of traffic” with slow driving. Effective July 1, the new rule covers impeding “the flow of other traffic traveling at a lawful rate of speed.” Essentially, slow drivers in the far-left lane are forbidden to impede other drivers traveling the speed limit. Violators could face $90 citations. A separate new law permits drivers who strike wildlife to humanely kill the animal at the roadside if the injury is fatal. Law enforcement no longer must be on the scene to take action. 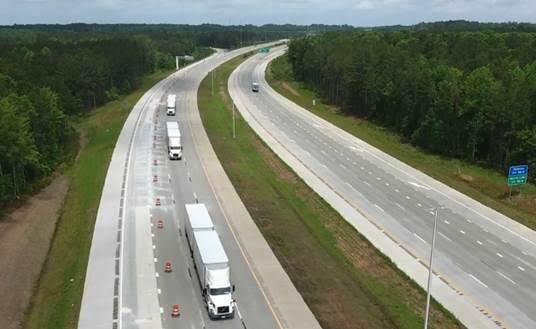 As of July 1, truck platoons are also exempted from the state’s 300-foot following distance rule for large vehicles. In addition, fire departments throughout the state are allowed to test vehicular carbon monoxide levels upon request of the vehicle owner or assigned driver. The California Secretary of State has declared the group got the required 585,000 valid signatures to qualify the repeal question for its November 2018 statewide ballot. Some Republicans say that the tax and fee increases place a lot of strain on middle and lower class residents. They include that past fuel tax earnings have gone for other applications -- a trend they anticipate to continue. As of Nov. 1, 2017, the new law raised the diesel tax by 20 cents and raised the gasoline tax by 12 cents. Other vehicle fees in the deal moved upwards Jan. 1, for example an increase from 4 percent to 5.75% in sales tax applied to diesel purchases. Senate Bill 1 passed the Democrat-led statehouse with no vote to spare. Voters in California this fall will probably get the final word on whether they wish to maintain auto tax and fee increases imposed annually. The further taxes and fees don't end there. Another 7.5-cent gas tax increase is scheduled to occur in July 2019. Since last fall, a Republican-led group worked to obtain signatures as part of a ballot initiative to repeal the fee and tax increases. All fee and tax prices will also be indexed to inflation to allow for gains in future decades. 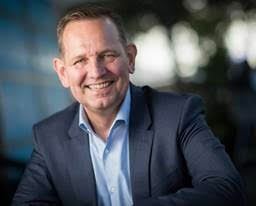 The Democratic Party has stated the tax and fee increases are necessary to address a $130 billion backlog in deferred in road maintenance. He's defiant about the repeal effort. Connecticut’s diesel tax rate is headed up. The state’s 41.7-cent rate has increased by 2.2 cents to 43.9 cents per gallon. Maryland’s fuel tax rates will be raised by 1.5 cents due to a five-year-old inflation indexing law. The gas tax will be set at 35.3 cents while the diesel rate will become 36.05 cents. Vermont motorists also are paying more in gas taxes. The state’s tax rate is up 0.42 cents to 31.14 cents because of a rule linking the tax to the price of gas and an increase in gas prices. The state’s 32-cent diesel rate is unchanged. Tennessee state’s 25.4-cent gas rate and 22.4-cent diesel rate are being raised for the second time in as many years. The gas tax is up 1 cent from a year ago to 26.4 cents per gallon and the diesel tax is up three cents to 25.4 cents. Oklahoma state’s 17-cents-per-gallon gas tax and the 14-cent diesel rate have remained unchanged since 1987. South Carolina is increasing the state’s 18.75-cent diesel and gas rates by 2 cents. The change to 20.75 cents follows a 2017 state law to impose increases of 2 cents annually through 2022. At that time, the tax rate will top out at 28.75 cents. The state Department of Transportation expects to collect about $230 million in the upcoming year. When fully implemented, the tax is estimated to raise more than $600 million annually. Indiana’s fuel tax rates also are on the rise. A 2017 state law increased the gas and diesel rates by 10 cents to 28 cents. Tax rates were also indexed on an annual basis through 2024. Annual adjustments are capped at one penny. Iowa state's 32.5-cent diesel rate will remain the same for the fifth straight year. The gas tax, however, is headed up by 0.2 cents to 30.7 cents. The rates are based on a fuel distribution percentage formula. Nebraska is cutting its 28.4-cent gas rate and 27.8-cent diesel rate by 0.4 cents per gallon each. The changes to 28 cents and 27.4 cents are due to a law linking the state rates to the price of fuel. The state tax is made up of three components: the variable tax, fixed tax and wholesale tax. The variable and wholesale rates are adjusted twice annually. A separate petroleum release remedial action fee is not included in the state tax rates. The fractional dip in the state’s tax rates is a result of continued low fuel prices and a six-month adjustment in the wholesale tax rate. This week’s change follows an increase of 1.5 cents on Jan. 1. An additional increase of 1.5 cents is set for next January. At that time, the third of three annual increases will take effect. KIRKLAND, Wash., June 28, 2018 – The Kenworth T680 on-highway flagship is now standard with Bendix® ADB22X™ front and rear air disc brakes. The pairing is a result of Kenworth now offering Bendix ADB22X rear air disc brakes as standard. The Bendix ADB22X front air disc brakes have been standard for several years. 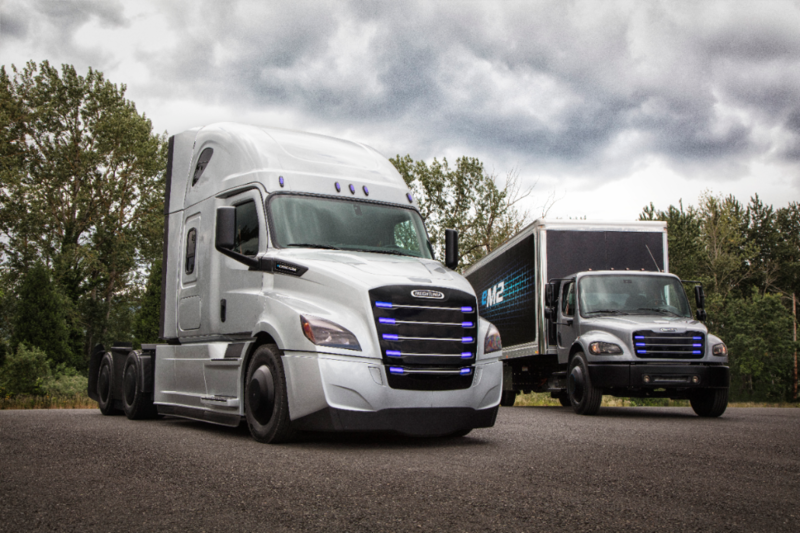 Daimler Trucks North America (DTNA) announced today that Penske Truck Leasing and NFI have agreed to partner in operating the Freightliner Electric Innovation Fleet of eCascadia™ heavy-duty trucks and eM2 106 medium-duty trucks. The bill has been introduced by Rick Crawford (Republican-Arkansas), Sanford Bishop (Democrat-Georgia) and Bruce Westerman (Republican-Arkansas) has four important components. The most recent bill to be introduced in Congress dealing with Hours of Service and ELDs takes on directly what appears to be an increasing consensus that the area most ripe for change is now the 14-hour rule.